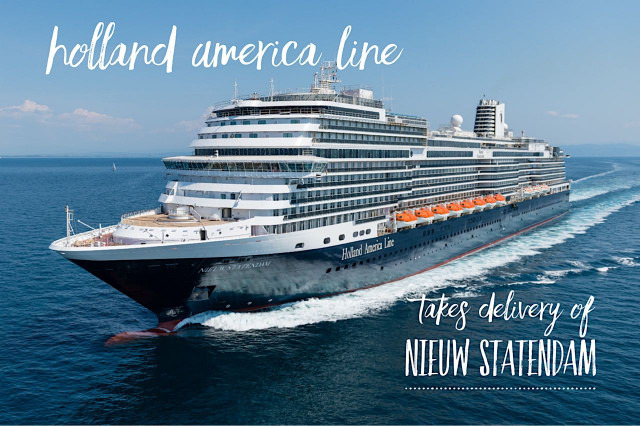 Holland America Line took delivery of Nieuw Statendam, officially making it the 15th ship in the fleet. A hand-over ceremony took place at Fincantieri’s Marghera, Italy, shipyard, and Nieuw Statendam set sail for Venice en route to Civitavecchia (Rome), Italy, for its premiere voyage with guests departing Dec. 5, 2018. Following its transatlantic crossing from Civitavecchia, Nieuw Statendam will spend a full season in the Caribbean sailing roundtrip from Fort Lauderdale. Nieuw Statendam’s official naming ceremony will take place in Fort Lauderdale, Florida, Feb. 2. 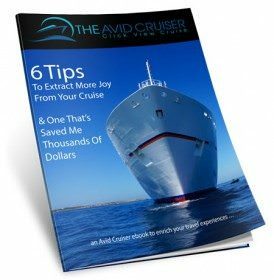 The ship will head to its summer homeport of Amsterdam, the Netherlands, in May and sail a series of northern Europe, Baltic, and Iceland cruises before making its way to the Mediterranean in September for cruises out of Civitavecchia. The 99,902-ton vessel accommodates 2,666 guests. The ship features purpose-built staterooms for families and solo travelers among its 1,377 guest accommodations. While much of the ship’s design will be similar to Koningsdam, the first Pinnacle Class ship, Nieuw Statendam will have exclusive public spaces and its own style created by Adam D. Tihany and Bjørn Storbraaten. In addition to the Dining Room, guests will have access to specialty restaurants that include newly designed Rudi’s Sel de Mer, a French seafood brasserie; pan-Asian Tamarind, with a new al fresco dining area where guests can enjoy the gentle ocean breeze; Nami Sushi, a new sushi experience within Tamarind; the Pinnacle Grill; Canaletto, with family-style Italian dining; and the new Club Orange restaurant exclusively for guests in the Club Orange program. Additional culinary venues include Grand Dutch Cafe featuring traditional Dutch coffee and treats and European beer; Dive-In, serving up gourmet burgers and fries poolside; New York Deli & Pizza, offering made-to-order sandwiches and pies; and Lido Market. 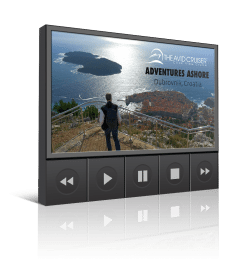 Onboard entertainment features the Music Walk offering a variety of live musical experiences. These include the debut of the new Rolling Stone Rock Room with classic rock hits; Lincoln Center Stage, with chamber music; Billboard Onboard, with chart-topping hits; and B.B. King’s Blues Club, bringing the best of Memphis music to sea. With the 270-degree LED projection at World Stage and expanded seating on Nieuw Statendam, even more guests will enjoy performances with panoramic visuals and sound effects.